#5 Use Strong Passwords for your Email Account, your Web Host account and your Joomla Login page. 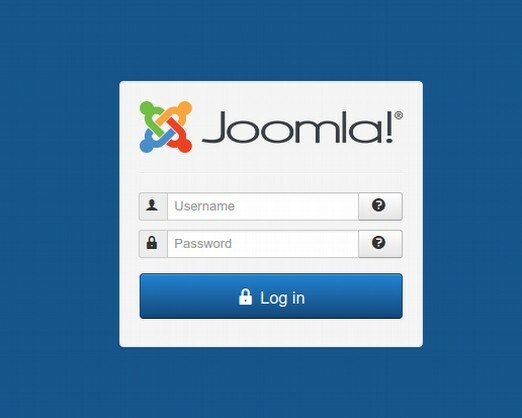 #10 Log into your Joomla Control Panel and change your user name and password. This is why Learn Linux and LibreOffice is our first course at College in the Clouds. It is because it is an essential first step in building a secure interactive website. With the help of our Learn Linux website, you can create and learn how to use a Linux computer in a matter of days. Best of all, buying an Acer C910 15 inch high resolution Chromebook and modifying it to be a fully functioning Linux computer costs less than $400 – about one quarter of the price of a less secure Windows or Apple computer. After you have a Linux computer, you want to have a document with a table of all of your websites and all of the access information and passwords to all of your websites. Also keep a copy of this information on a thumb drive in a safe place in case you lose your Linux computer. It is important to compress every one of your images in your Libre Writer documents. This is done by right clicking on each image, selecting Compress then selecting OK. This should result in reducing the file size of the image to something less than 100KB. Failing to compress even a single image will greatly reduce the loading speed of your website. It is equally important to “clean” all of your images before posting them to the back end of your Joomla website as a common hacking trick is to hide malicious code in the properties section of images – which are then uploaded by you to your site if they are not cleaned. There is a free program called XNView which can batch clean hundreds of images in a matter of seconds. Simply open XNView. Then select the folder that has all of your website images. Then create an output folder for the clean images. Then Add the Action “Clean Metadata.” Then click Convert. Fullhost has a basic shared hosting option that is only $7 Canadian per month (about $5 US dollars per month). This allows you to set up several websites on a single Cpanel account. However, if a hacker manages to break into any one of your websites, they can destroy any other websites that are on the same Cpanel account. Therefore, if you have more than three websites, a much more secure option is to get a Reseller Hosting account at Fullhost for $20 Canadian per month (about $15 US dollars per month). The reseller account will allow you to have up to 15 separate Cpanel accounts each with their own file manager. This will prevent hackers from bringing down more than one or two of your websites at a time. I currently have about 30 websites on 15 different cPanel accounts. The cost per website per month is about $1 US for the domain name and 50 cents US for the hosting for a total cost of $1.50 per month or $18 US per year per website. First, avoid using default user names like "admin" or "administrator". Those are first in the list of words a potential attacker will try. Next, use a strong password. Many attackers try to brute-force your login details. This means that they use a list of commonly used passwords to guess yours. Do not use this same password for any other account. This means that your website administrator password should be different from your hosting account password and different from your email service password. Each password should be unique. Keep a record of all of these passwords in a file on your hopefully secure computer. PHP is the language your Joomla website uses to control the information on your website database. Nearly all Joomla and Wordpress websites use currently use PHP version 5. This is no longer a very secure version of PHP. A new version of PHP was introduced in 2016 called PHP 7 which is twice as fast as PHP 5 and much more secure. After getting your Fullhost Shared Hosting Account, log in to your Fullhost account using your ProtonMail email address and a secure password. Then click on the red Services button. Then click on the green Active button. Then click on Log into Cpanel. Scroll down to SOFTWARE. Then click on Select PHP version. Then select the latest version of PHP. Then click Set as Current. Then click on Cpanel to return to the Home screen. Note that the latest version of PHP may cause excessive warnings to appear on our website. If this turns out to be the case, return to this screen and change the version from PHP 7.1 to PHP 7.0. As 98% of all Joomla and Wordpress websites still use PHP 5, taking this single step will make our website faster and more secure than 98% of all websites. If you click on Generate Private Keys, you will see that a set of private keys has been generated automatically for you. If you do not see any keys in the table, wait 24 hours for these keys to appear. Once the private keys are shown, click on the Browser back arrow. Next click on Generate, view, upload or delete SSL certificates. You should see that a free Let’s Encrypt Certificate has been automatically generated for your website domain name. You can click on the Edit button and then click on Update Description to see the default information and add more information to it. But this is technically not needed. Instead, click on the back arrow. Then click Manage SSL sites. 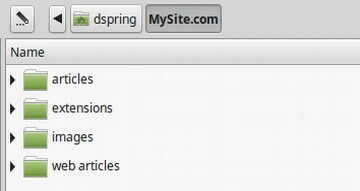 This is where you can add sub-domains, Add On Domains and Parked Domains. The certificate will be set to expire in about 90 days. Do not worry. The certificate will automatically renew itself. 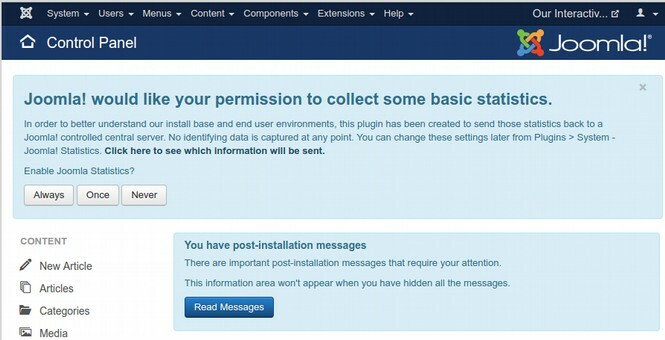 You do not need to take any further action after activating SSL on your Joomla site. What is SSL and Why Do We Need It? SSL (Secure Sockets Layer) is the standard encryption technology which establishes a secure connection between a web browser and the server. This ensures that all the data which passed during the connection remains private and encrypted. SSL is used by millions of websites to protect the sensitive information entered by visitors. Most people can spot a secure SSL site from a non-secure site by the presence of a green bar or lock in the URL box and the beginning prefix that includes an S after the initial HTTP. As a website owner, you have a big responsibility of keeping the privacy of your visitors intact. Installing an SSL encryption on your website is a good start and prevents the interception of submitted information by hackers.SSL hides your vital information and your readers vital information from hackers. Failing to use SSL not only might cause your customers to be harmed, but it also increases the chances of your website being hacked using the customer’s log in credentials followed by a program that elevates their privileges. Using SSL not only increases the security of your website, and increases the trust of your readers, it also increases the Google Page Ranking because Google gives priority to sites using SSL. Let’s Encrypt is a Free Automated Open Source SSL certificate created to benefit the public. It allows you to get browser-trust certificates for your domains at no cost that renew automatically every 90 days. There are no difficult configurations, no validation emails and you can install multiple certificates on your hosting accounts, for each domain and subdomain you choose with Let's Encrypt Free SSL. All popular browsers support Let’s Encrypt Free SSL. Thanks in part to Let’s Encrypt Free SSL Certificates, 80% of all visited sites now use encryption. Once we verify that our Let’s Encrypt cerificate is installed in Cpanel, we are ready to install Joomla to our domain name. While we are in Cpanel, after verifying that our domain name has a Lets Encrypt certificate, we will next install Joomla. Scroll down to the Softaculous Apps Installer section. Then click on the Joomla icon. Then click on Install. Delete the Joomla30 from the directory box in order to install Joomla in the root directory of our domain. Then type in your domain name and slogan. Leave Import Sample Data set to None. Type in your initial User Name and password (we will change these later). Then click Install. This will provide a link to our Joomla Administrator login page. However, before we click on this link, we should activate our HT Access file with the Cpanel file manager. The HT Access file can help to protect your website against a set of common exploits. But we need to enable it to get this protection. 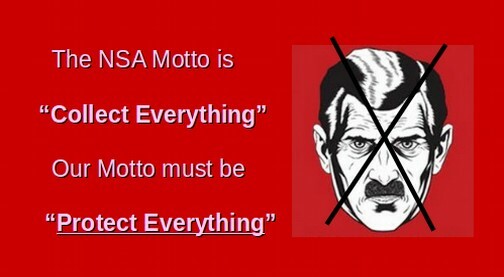 We enable it by renaming it. From the Softaculous Installer page, click on CP at the top of the page to go back to the Cpanel control panel. Then click on the file manager. Then click on the public_html folder to open it. Below a bunch of folders, you will see a file called htaccess.txt. Click on it to select it. Then right click and select Rename. Then click Rename File. Sadly, this will hide the file. To see it, click on Settings in the upper right corner of the screen. Then click on Show Hidden Files. Then click Save. Now we can see the file. 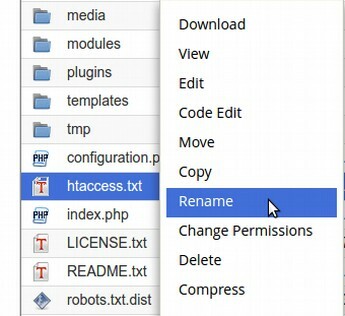 Now click on the .htaccess file to select it. Then right click and click Edit to open this file. Then click Edit again. Then click Use Code Editor so we can see the line numbers. 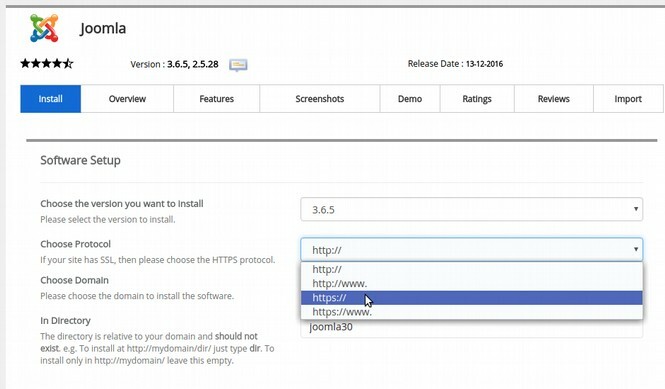 This will allow us to use Search Engine Friendly URLs for our site which in turn will make our site harder for hackers to attack with automated programs by hiding typical Joomla URLs. Then click Save Changes. Then click Close. Also while we have the file manager open, click on the images folder to open it. 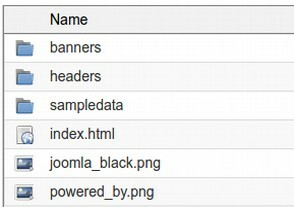 Even though we did not want the sample data, Joomla loaded the sample images anyway. We could delete these later with the Joomla Media Manager. But it is quicker to delete them with the Cpanel File Manager. Click on the Banners folder to select it. Then right click and select Delete. Check Skip the Trash and click Confirm. Repeat for the headers folder and the sample data folder and the joomla black file and the powered by file – leaving only the index.html file. Now close the file manager browser tab to close the file manager. This brings us back to the Cpanel control panel. In Cpanel, scroll down and click on the Joomla Icon. This will bring up our current installations. Click on the Admin icon to reach our Joomla Administrator log in page. If you go to your Joomla admin page and it says "This webpage is not available." it is likely that the domain has not yet been directed to the Fullhost servers. Log into yor Fullhost account, click on Domains, then Manage NameServers and direct this domain to the Fullhost servers. They should be ns2.fullhost.com, ns3.fullhost.com and ns1.fullhost.com. Then log into your new website admin page. The good news is that our Administrator page is fully encrypted as we can see from the green bar to the left of our URL at the top of the screen. Log in with your Initial User Name and Password. Joomla wants to collect information. Click Never. Then click Read Messages and Hide all three messages. Our next task is to change our user name and password. When you create a new Joomla Site with the Cpanel one click install, an email may be sent to your email account with your Installation User Name and Password plus sensitive information about the name and password of your website database. If you have a ProtonMail account, this email may be encrypted. But if your email account has been compromised, this User Name and Password will also be compromised. To change your user name and password, click on Users, Manage. Then click on your name. Change your log in name and your password. This is especially important if you did not set up a Proton Mail account as there may be a record of your initial user name and password in an insecure email file. Then click Save and Close. Now view the front end of our site by clicking on the link in the upper right corner of our screen. The front end of our site is also encrypted. But we will soon have problems with spammers and hackers if we continue to display the log in form on our Home page. In the next section, we will take ten more steps to secure our website – beginning with hiding the Front End Log In Form.